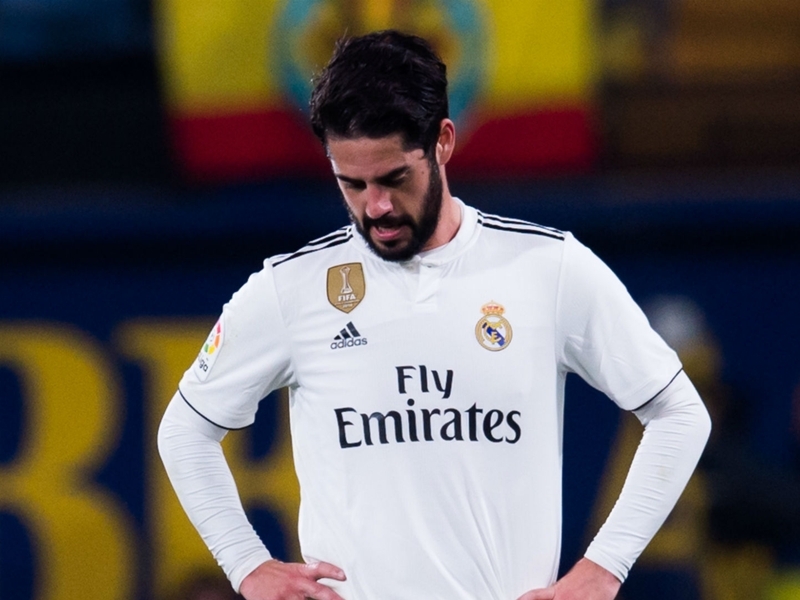 Santiago Solari refused to respond to Isco’s claims about a lack of opportunities at Real Madrid, but did hint the Spain midfielder needs to work harder in training. Isco has struggled for playing time this season, making just five league starts in Madrid’s 22 La Liga games this term, with his opportunities becoming even sparser in recent weeks. Former Madrid midfielder Ruben de la Red warned the Spain playmaker that “Madrid don’t wait for anyone” on Thursday, prompting Isco to respond on Twitter: “I agree with De la Red but when you do not enjoy the same opportunities as your team-mates, things change. Solari, speaking ahead of Saturday’s Madrid derby with Atletico, was asked if he felt all his players were treated equally, and said: “In football, you have to work and put all your talent into everything. When asked specifically about Isco, he added: “A professional footballer has to do his work, which is to train 100 per cent to be ready to play. Isco failed to complete Friday’s session due to a back problem and is a doubt for the cross-city clash. Teenage winger Vinicius Junior is likely to play at the Wanda Metropolitano although Solari admitted the Brazilian had been “affected” by the fire at the youth complex of his former club Flamengo that has reportedly killed 10 people. Madrid will be hoping the 18-year-old is in the right frame of mind for a clash that pits Solari against his fellow Argentine Diego Simeone. “I respect him [Simeone] a lot,” said Solari. “We have been team-mates [for Argentina], and he was also my coach at San Lorenzo and it will be nice to share things at a professional level, both as a team and a coach. Madrid go into the game in third place, two points behind Atleti.